Take a journey through Japan’s most visited religious sites, from shrines in the country’s historic capital, to spiritual locations along the coast and everything in between. 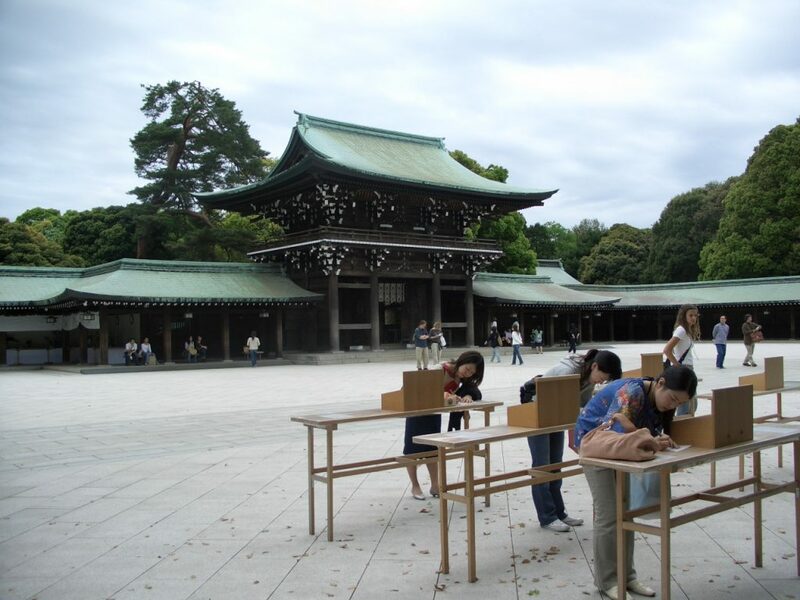 Dedicated to the 122nd emperor of Japan, Meiji Shrine is located in the heart of Japan’s capital city and was completed in 1920, coinciding with the passing of Emperor Meiji and his companion, Empress Shoken. During the Meiji Period, Japan became modernized to catch up with the Western world’s major powers. Meiji Shrine is situated adjacent to Yoyogi Park, the site where Japan’s first successful powered aircraft flight took place in 1910. Groups can take a leisurely stroll through the shrine grounds’ walking paths and on to Yoyogi Park. 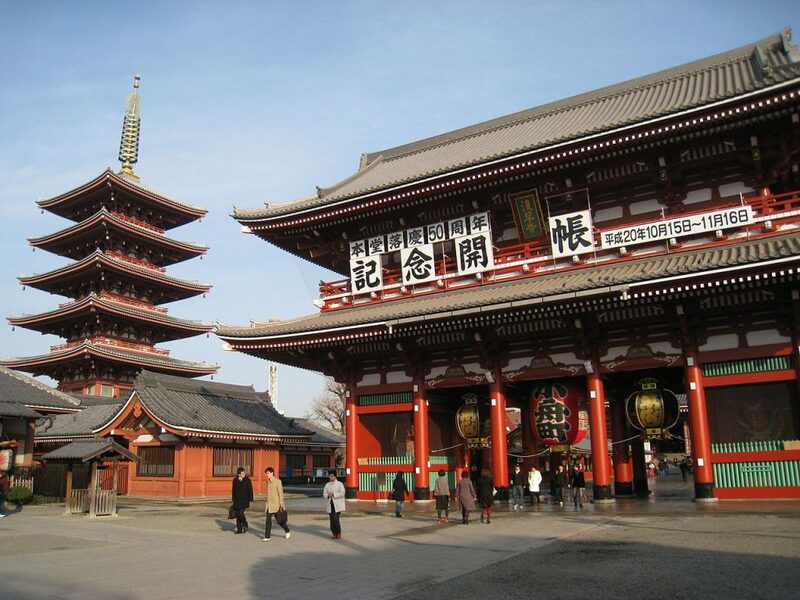 A Buddhist temple located in Asakusa, Sensoji Temple is one of Tokyo’s most popular and vibrant temples. Built for Bodhisattva Kannon Bosatsu, Sensoji Temple was completed in 645 A.D., making it Tokyo’s oldest temple. It is also the most widely visited spiritual site in the world, seeing more than 30 million visitors per year. Groups visiting Sensoji Temple can waft incense smoke over their bodies, a practice said to cure any ailments and improve one’s overall health. On Nakamise-dori, hundreds of local shops line the street selling handicrafts, souvenirs and sweet and savory snacks. Group travelers can indulge in Japanese rice cakes, crackers and green tea-flavored treats. 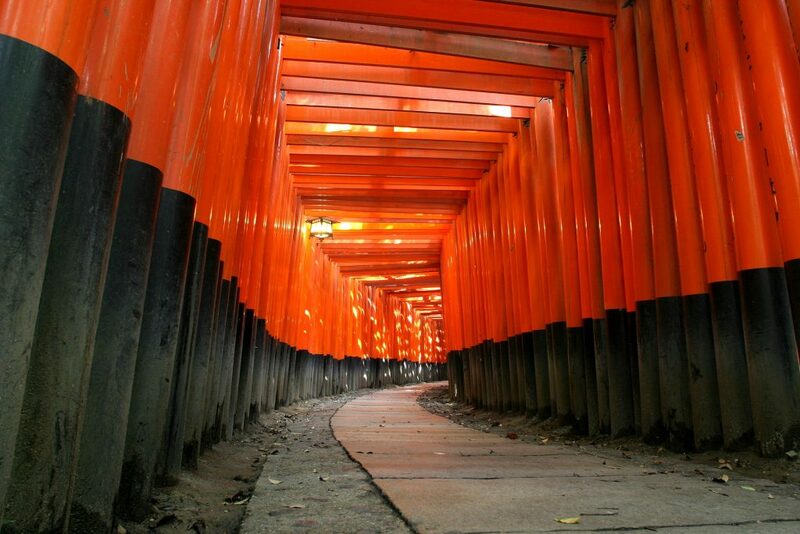 Located approximately 30 minutes southwest of Tokyo in Japan’s former capital city of Kyoto, Fushimi Inari Shrine has welcomed visitors for more than 1,300 years to come and worship the Inari god, who is said to assure bountiful crops. In order to reach the main inner shrine, groups must hike several paths halfway up Mount Inari, so be sure to wear comfortable shoes! Along the pathways, visitors can gaze upon vermillion torii shrine gates, or stop at any of the area’s restaurants to sample the beloved fried tofu, known as abuurage. Considered the spiritual home amongst Japanese locals, Ise Grand Shrine is a place most residents of the country make a pilgrimage to at least once in their lifetime; more than six million pilgrims and worshippers visit the site annually. The most sacred Shinto shrine in all of Japan, Ise Grand Shrine was constructed around 4 B.C. and is located in the city of Ise in the Mie Prefecture of Japan. Situated within this grand shrine are two other principal shrines, Naiku and Geku, the tutelary gods for the Japanese people and for the basic necessities of life, respectively. Each shrine can be found amongst ancient forest groves and hundreds of stunning Cryptomeria, or Japanese cedar trees. 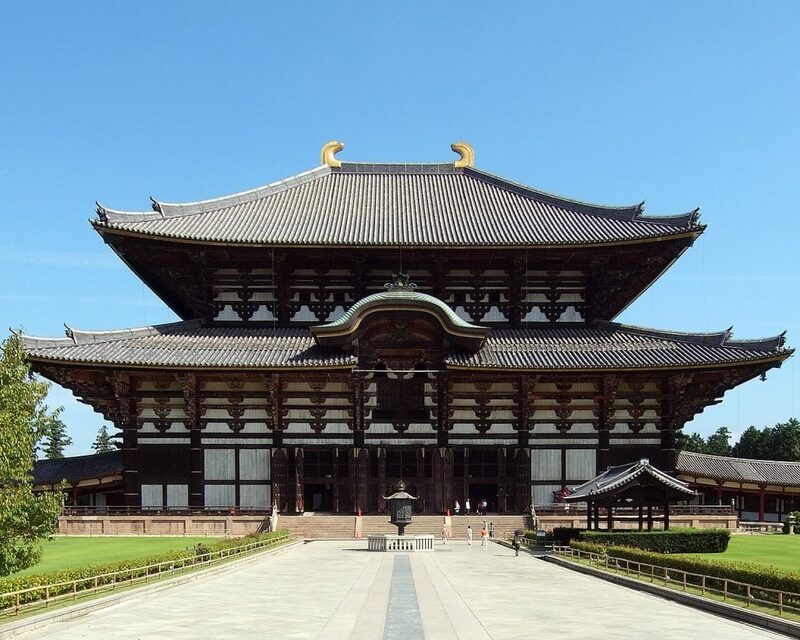 Once one of the powerful Seven Great Temples, Todaiji Temple in Nara consists of Great Buddha Hall, an area containing the world’s largest bronze statue of the Buddha Vairocana. After completion in the 740s, Todaiji Temple was the largest building project constructed on Japanese territory. A popular attraction within Todaiji temple, a pillar with a hole in its base the same size as Great Buddha’s nostril, is said to bring enlightenment in the next life to those who can squeeze through this tight space. Two statues depicting the Nio Guardian Kings watch over Nandaimon Gate, all three of which are considered National Treasures in Japan. Located in Japan’s Kanagawa Prefecture region is the Great Buddha of Kamakura, also known as Kotoku-in. This popular religious attraction is ideally situated just 15 minutes walking distance from popular Yuigahama Beach. 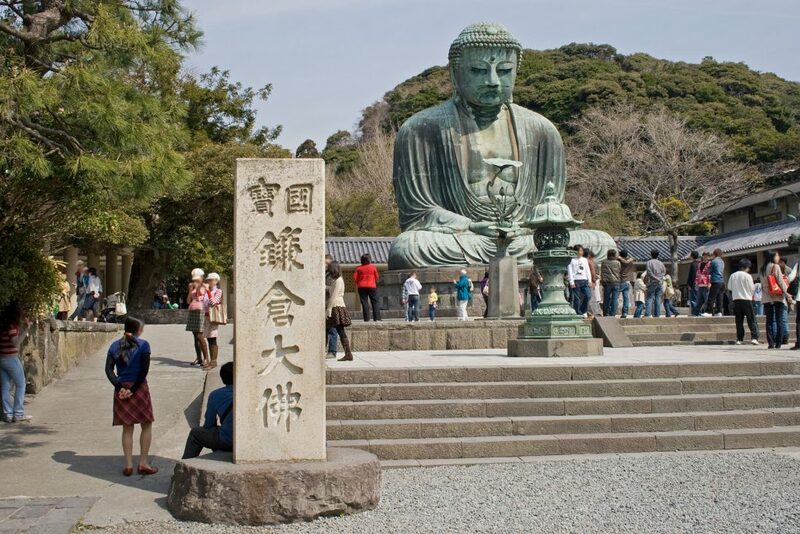 A UNESCO World Heritage Site, this monumental bronze statue of Amida Buddha is one of the most celebrated historical and religious landmarks in Japan. Standing in the open air since 1492, the Great Buddha statue still contains some of its original gold leaf found around the ears, despite a destructive tsunami that hit the area during September of the same year. truly unique piece of architecture due to its hollow construction. Standing tall at 12,389 feet, Mt. 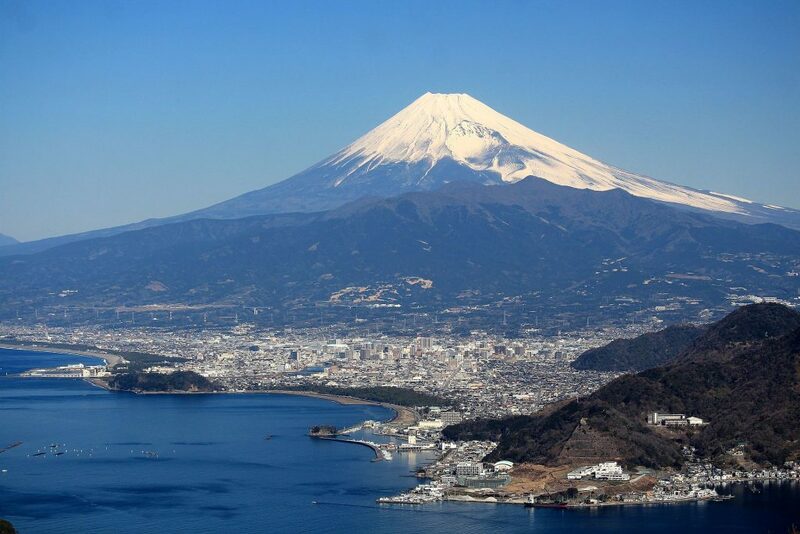 Fuji on Honshu Island is the highest mountain in Japan and the seventh-highest peak of an island in the world. Groups can visit and hike around the popular tourist destination for around $65, including roundtrip bus tickets from Tokyo. Mt. Fuji has been a sacred site for disciples of the Shinto religion since the 7th century. Locals worship the mountain as a deity, and it is deemed one of Japan’s Three Holy Mountains. 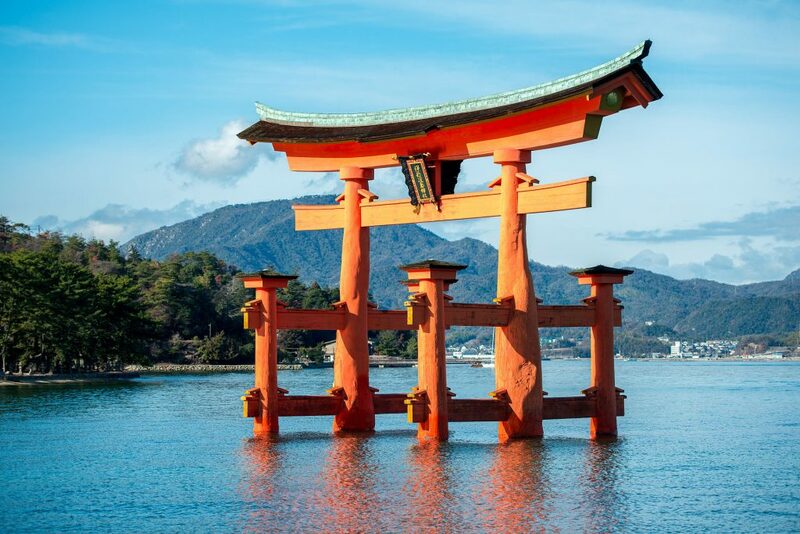 Another UNESCO World Heritage Site, Itsukushima Shrine is located in the city of Hatsukaichi on Itsukushima Island, popularly known as Miyajima. The Japanese government has designated various possessions and buildings within the shrine as National Treasures, the most precious of Japan’s Tangible Cultural Properties. The shrine appears to be floating on water due to its design built upon pier-like structures. Historically, the island itself has been considered a sacred site and used to forbid commoners from setting foot on it, in order to maintain its purity. 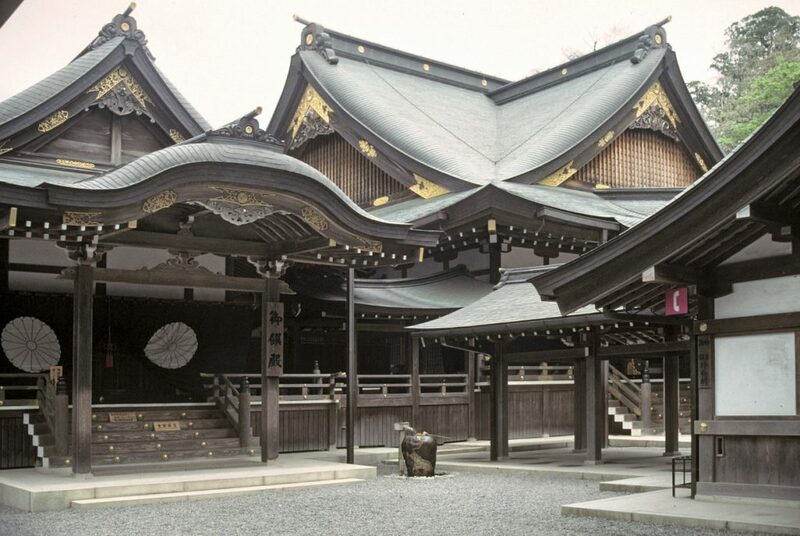 The complex around the shrine consists of several buildings, a prayer hall, main hall and a Noh theater stage.